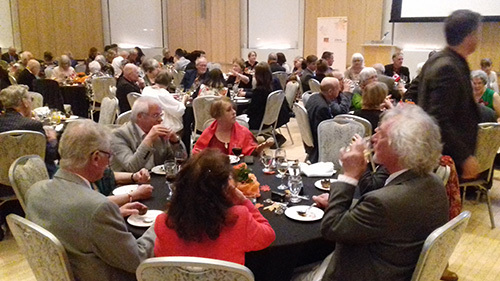 The final dinner was held in the Barrick salon at the Canadian Museum of Nature. 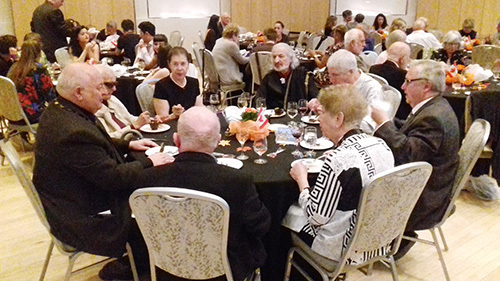 A 4 course meal with wine was served and in between bites the discussions at the tables were lively, friendly and laughter overpowered the music sometimes. 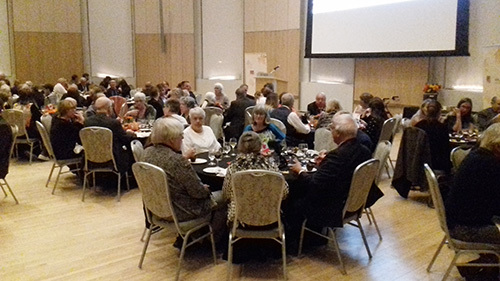 Then it was time for the big moment everybody had been waiting for: the awards and prizes ceremony and it was presided by Philip Attwood. The first awards were given out by the host country: Canada. Two students, Beatrice Monika (Portugal) and Albert Kozak (Poland) were presented with the Awards of Olympic Mittens and some money. 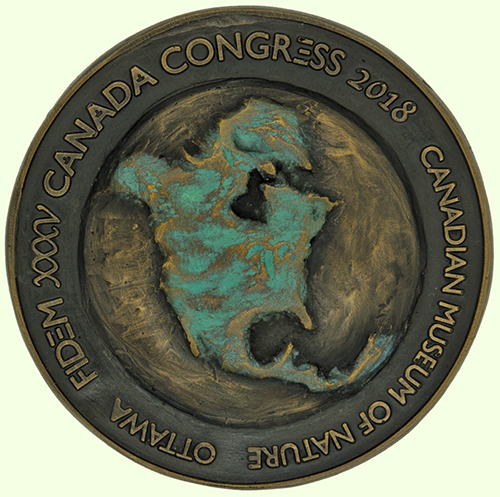 The Canadian Vice Delegate Award and the medal entitled Remembrance was given by Susan Taylor to Henrik von Aachen for his invaluable help to FIDEM Canada for the Congress. 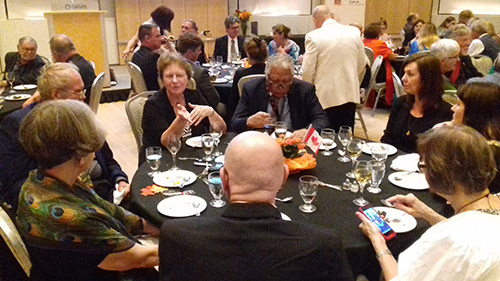 The Canadian Delegate Award and its medal entitled Canada Rapsody created by Geert Maas was presented to the artist whose medal best represented a woman’s strengths. The judges for this award were Geert and Elly Maas. The award went to Lorraine Wright for her medal Reaching Beyond the Stars. 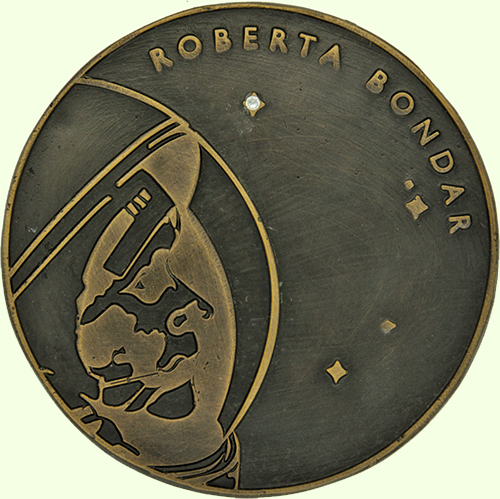 The last Canadia award was the Dora Pédry-Hunt Award and was for the artist whose medal best represented “Women’s achievement in the Sciences”. 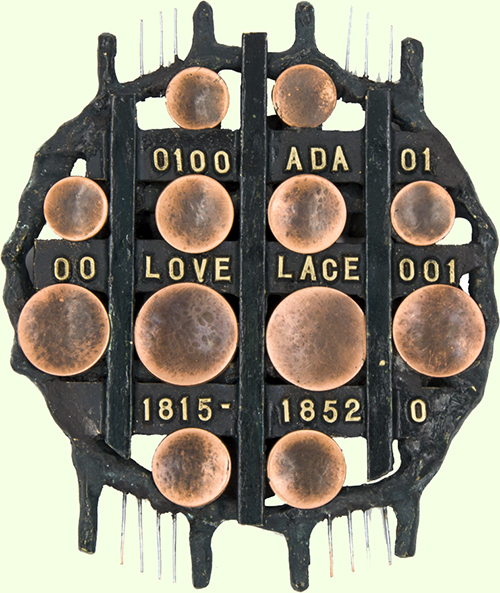 The award was the Dora medal by Dora de Pédery-Hunt, donated by Ilko Hencz and some money. 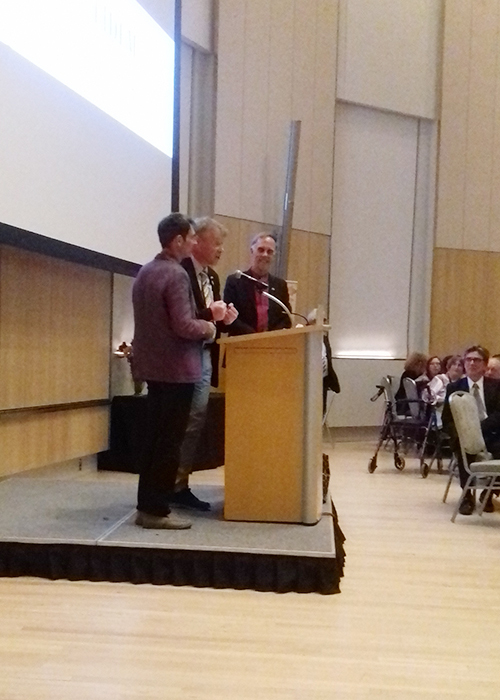 The judges for this award were Michael Groves, Royal Canadian Mint, Paul Berry, CCM and Paul Petch, MASC. 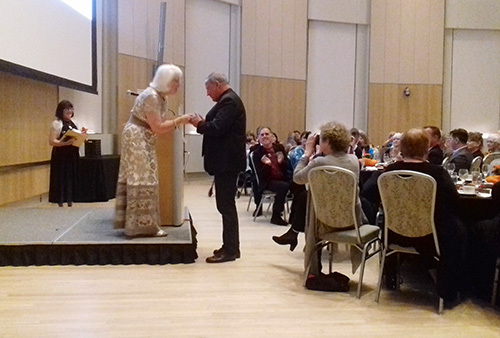 An Honorary Mention went to Lorenzo Rafael (Mexico) and the award itself was presented to Ron Dutton (Great Britain) for his medal celebrating Ada Lovelace. Then non-FIDEM prizes were awarded. This time there were a lot of them. 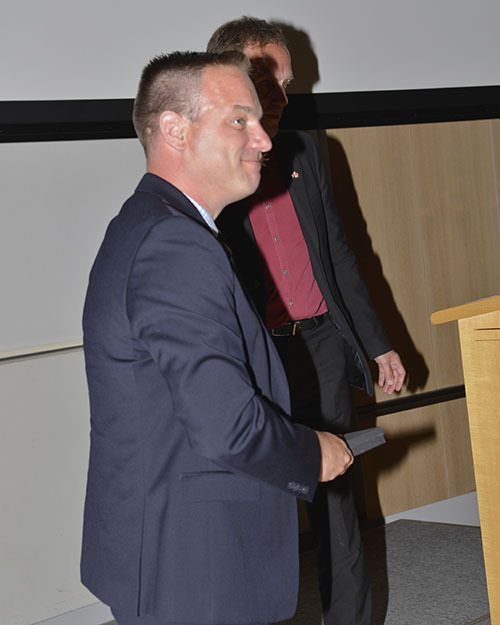 The BAMS Struck Medal Award was presented to José Teixeira (Portugal) by Gregory Fattorini. 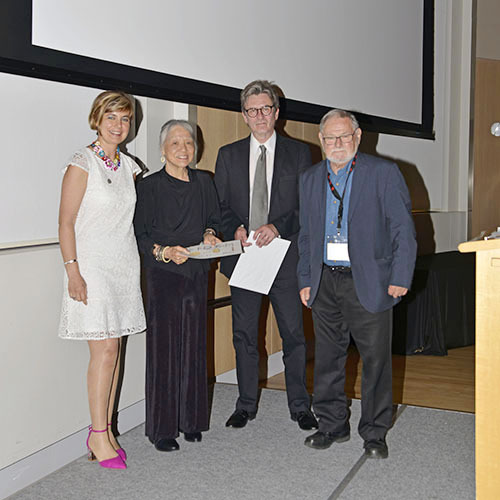 The George Cuhaj Award for Distinction was presented to three persons: Susan Taylor, Ira Rezak and Donald Scarinci. 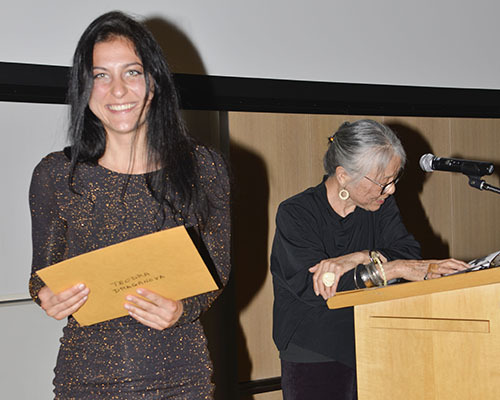 The George Cuhaj Prize recognizing promising artists under the age of 30 was awarded to Catarina Mendes (Portugal). The Haiderzad Museum of Modern Art Award presented by Amanullah Haiderzad included money and a certificate. This award was given two artists who donated medals to the museum: Paul Huybrechts (Belgium) and George Cuhaj (USA). 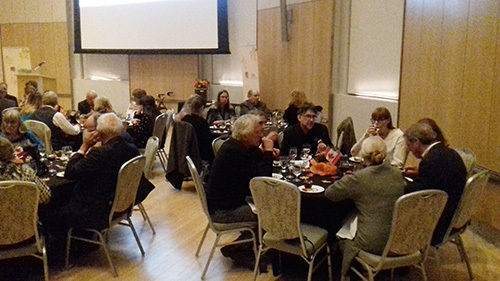 The Paul Huybrechts prize ”Art Valley 51” was supposed to be shared between a couple of women artists but it ended up being given to one woman artist, Magdalena Dobrucka (Poland) and two men artists:, Hedwig Pauwels (Belgium) and Lorenzo Rafael (Mexico). 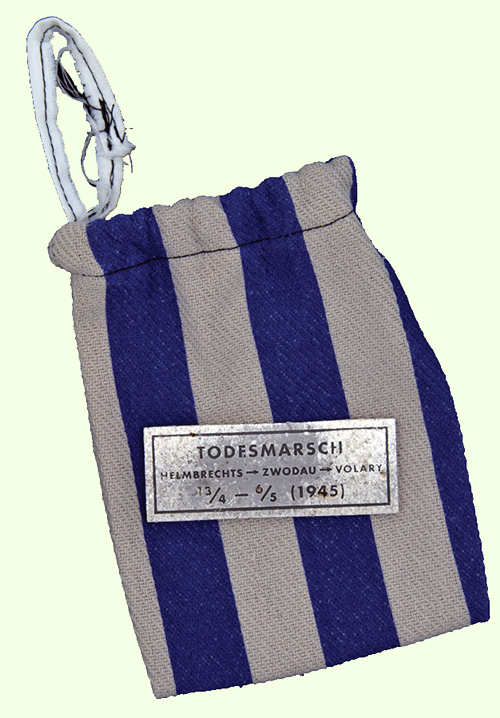 Mel Wacks Judaica Art Medal Prize was awarded to Otakar Ducek (Czech Republic) for his medal Todesmarsch. 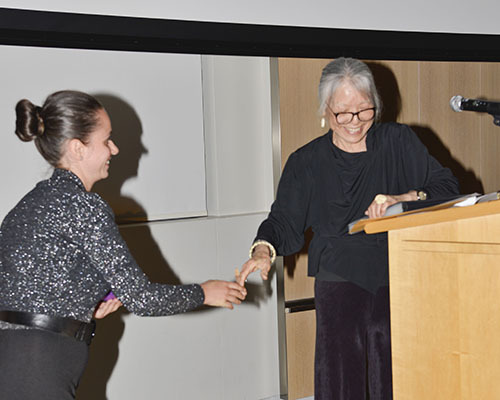 Mel Wack also presented Heidi Wastweet with the American Medal of the Year Award. 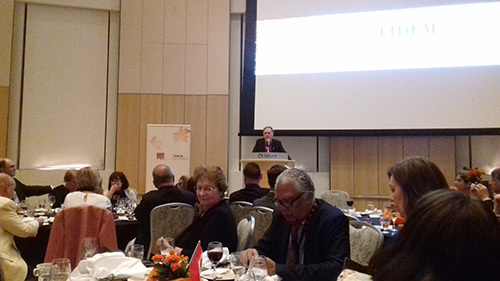 Bogomil Nikolov could not attend this congress but still send 4 awards to be given during the diner. The first one was for The Youngest Participant in the Projects of the MSSS. It was awarded to Elise Pelsdonk (6 years old). 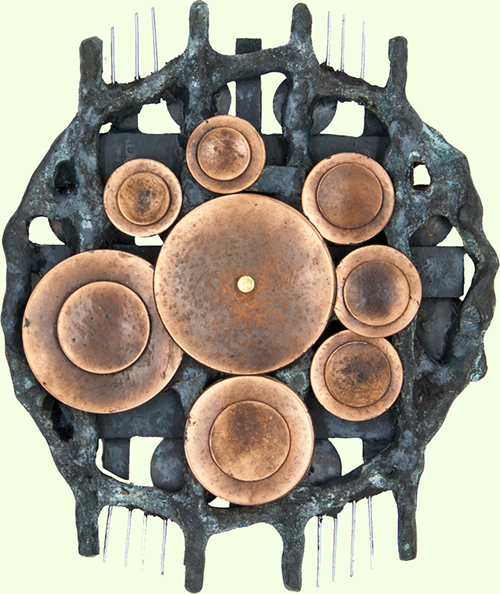 Two juror, Ulrika Bornestaf, Sweden and Marie-Astrid Pelsdonk, the Netherlands, had the task to find an awardee for the Medallic Sculpture Studio Prize - ”One Talent” / for young artists except Bulgarian which they found in Pilar del Puerto Hernandez Gonzalez (Spain). The MSSS Honour Causa Award was presented to Sebastian Mikołajczak (Poland). The Pro Liberalitate Tua was up next. This prize is ment to be awarded to individuals and institutions which have helped FIDEM financially. This time it was awarded to the Portuguese Mint for its invaluable support to FIDEM. 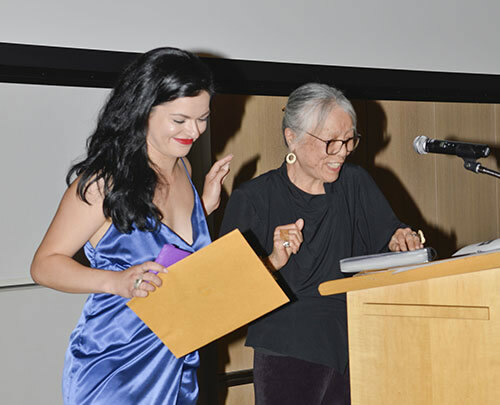 Mashiko presented three artists with the Emerging Artists Award to Evgeniq Ilkova (Bulgaria), Natalie Jordanova (Bulgaria) and Petra Kurucz (Hungary). 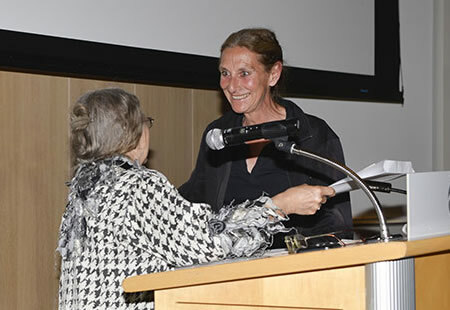 The Jason S. Pollack Memorial Award for Innovative Techniques in Medallic Art presented by Jeanne Stevens-Sollman was awarded to Linda Verkaaik (the Netherlands). And finally it was the turn to the FIDEM prizes to be awarded. 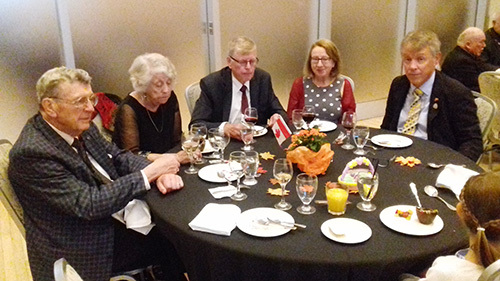 The FIDEM 'at 70 medal was awarded to Lynden Beesley (Delegate of Canada and Organizer of the congress), Susan Taylor (vice-delegate of Canada and in charge of the medal exhibition), Lorraine Wright (in charge of the catalogue), Michael Groves (Director of the Development & Applied Technology of the R&D team for the Royal Canadian Mint) and David Dunlop (D. R. Dunlop & Associates inc) for their work in organizing this congress..
Paul Berry from the Bank of Canada received the congress medal. And then it was the time everybody had been waiting for: the announcement of the FIDEM Grand Prix winner for 2018. 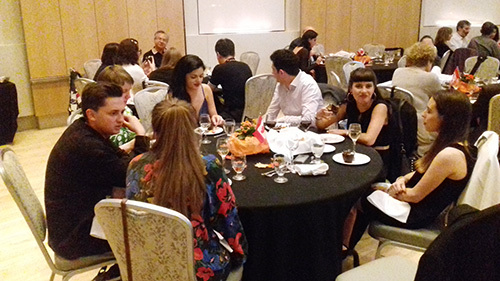 The jury composed of Ron Dutton, Ana Pereira and Tapio Suominen had had the difficult task of choising a winner. After reading their motivation the name of Mashiko was revealed. A very surprised and happy winner came on the stage to receive the FIDEM Grand Prix 2018. 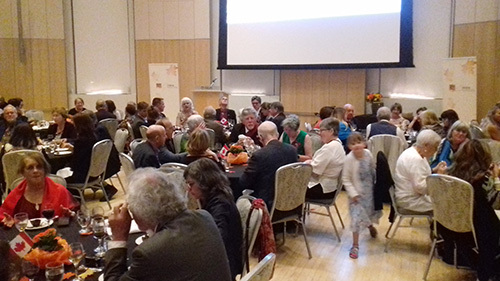 The evening ended and after many goodbyes and "see you soon in Tokyo", the XXXV FIDEM congress in Ottawa had come to an end. The George Cuhaj Award for Distinction presented here to Donald Scarinci. 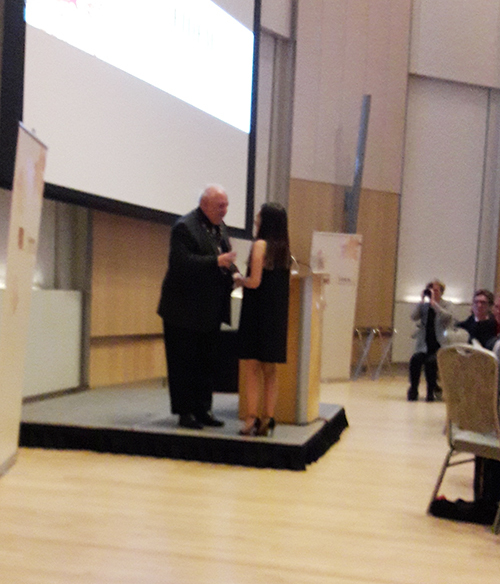 Amanullah Haiderzad presenting the prize to Paul Huybrecht.